HELL IS OTHER DEMONS is a hard game by design. It’s got tough as nails combat in cramped arenas that require perfect movement to stay alive. Boss monsters are fast and furious, always striking at just the right moment to rip you back down to Earth. However, Hell is Other Demons is somehow accessible at the same time. It has tight controls in the vein of Super Meat Boy and weapon options to suit multiple playstyles. It offers a hit of the ultra-hard NES days without going all the way into frustration. After seeing so many games fail to hit that perfect balance, it’s nice to see one nail it so well. As you’d expect from the name, you play as a little demon fighting back against your fellow forces of Hell. Be they floating skulls or fireball slinging phantoms, all manner of wretch and monster want you dead. Thankfully, while you can’t throw fireballs yourself, you do have access to a high octane arsenal. Starting off with something similar to an assault rifle, you’ll quickly upgrade to a Contra spreadshot, a satisfying shotgun, or a full-on minigun. Charge up your ultimate and you can pull off several power-ups or just unleash a devastating blast of energy Dragon Ball-style. The first thing you’ll notice when loading up Hell is Other Demons is just how good it looks. 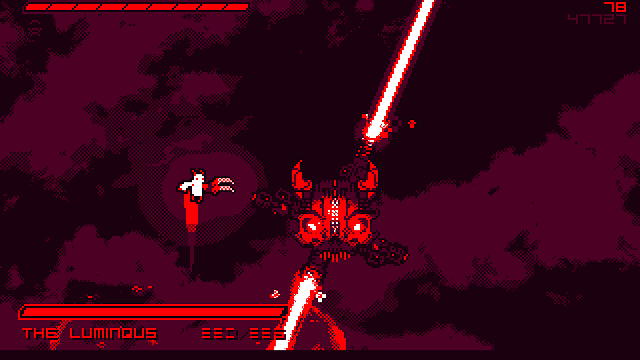 It’s going for the black and red Downwell look, just with a few more splashes of color. Those shades change as you progress in the campaign, each one a proper fit for your new surroundings. You can also pick from a few selections after you get a bit into the game, in case you prefer a specific look or just want the entire experience to look like the Game Boy for some reason. There’s no judgment here. Let your weird portable freak flag fly. No matter what world you’re blasting your way through, you’ll be enjoying a healthy dose of dark synths. The tunes completely make the mood, sounding like your incessant demon murder has been made into a soundtrack fit for a Halloween night. 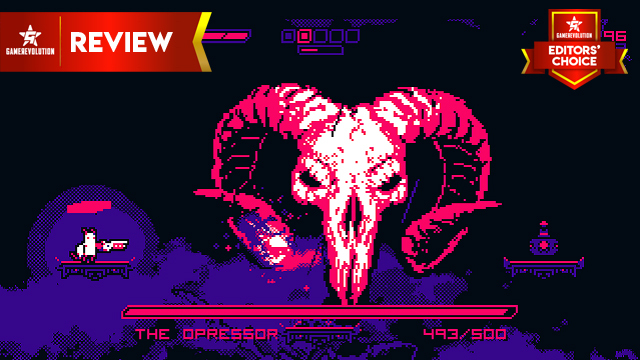 Shooting the hellspawns will add to the symphony with a chorus of retro-inspired sound effects from the same artist behind the sounds of VVVVVV. The bleeps and bloops combined with the spooky OST really gives Hell is Other Demons a classic feel. I wouldn’t bat an eye if I heard this coming from a cabinet across the way at an arcade convention. It fits right in. While some games use aesthetic to hide poorly considered gameplay, Hell is Other Demons has nothing to hide. It’s a simple concept, but it’s executed flawlessly. 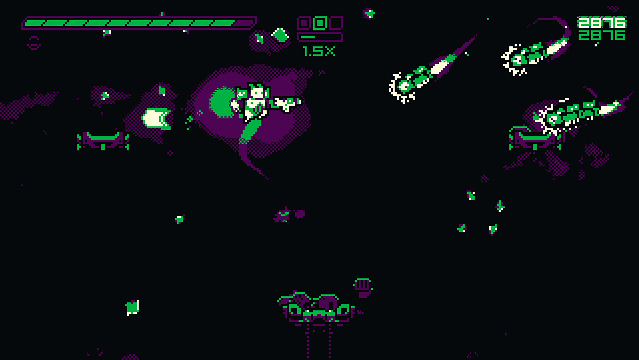 You have limited safe space on a few small platforms as floating enemies spawn in all around you and you need to clear out the room over and over to avoid taking damage and survive the round. Your demon friend has precision air control and a dash that lets you avoid any danger you didn’t see coming. Finally, you can stomp on almost any enemy in the game and deal damage like a twisted plumber. 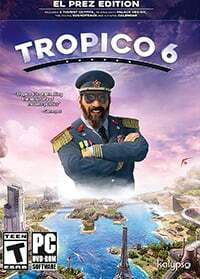 Everything runs at a blistering pace, but you will too once you master the controls. However, Hell is Other Demons has one sticking point, albeit an easily fixable one. The default control scheme on the controller has your life-saving dash maneuver on a face button and your ultimate on a bumper. Since you can only use your ultimate in very specific scenarios, you don’t need your finger to be resting on it constantly. It makes a lot more sense to have the dash at your beck and call whenever you need it, at least to me. Thankfully, Hell is Other Demons has fully remappable controls and even lets you make several buttons do the same thing. Problem solved. As for how you play, there are two options. The campaign has you going from world to world taking on set challenge missions, fighting bosses, and purchasing permanent upgrades. The arcade mode lets you blast through back to back levels after choosing from several characters with different starting loadouts. Both modes are completely separate, and it feels like you’re getting the arcade and home console port of some forgotten 8-bit classic in one package. Best of all, both modes capture the fun of Hell is Other Demons. 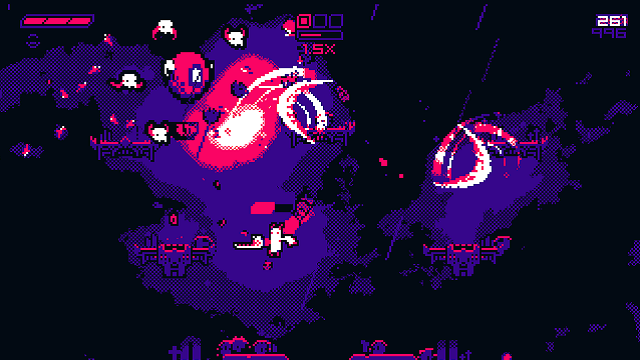 There seems to be such a focus on big guns at first, but it’s really all about movement as you place yourself in just the right place to stomp a bunch of little guys and then move on. No matter what weapon you have, it’s mostly for keeping control of the other side of the map. In fact, most of the campaign levels have extra rewards for completing levels without firing a shot. That challenge should lead to some great speedrun videos at some point in the future. You will want to at least sample the campaign, if only for the boss encounters. These giant monsters have a great design, full of giant skulls and many moving parts. They’re also huge, which is fine because that makes them huge targets. While you will die to them quite a bit, the bosses were not nearly as difficult as some of the tougher enemy combinations they throw at you in the arcade mode. Just keep moving and shooting with a good weapon and you’ll chip away at that life bar like an expert. 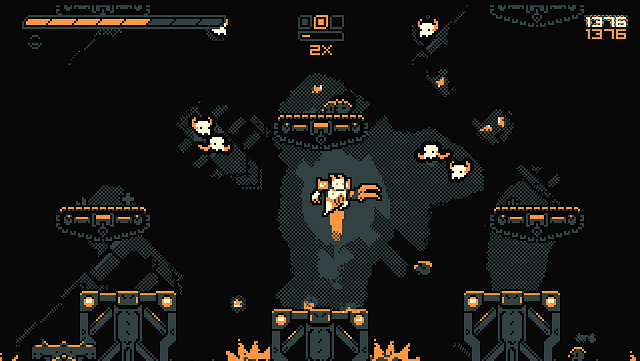 Even if you’re not an expert player, Hell is Other Demons remains pretty approachable. 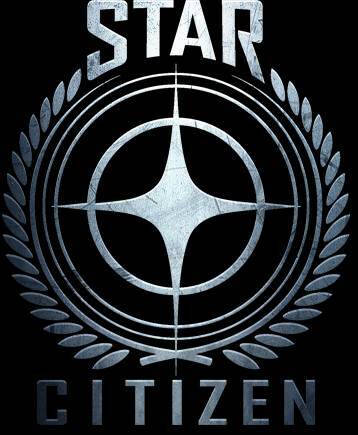 Sure, you’ll be replaying campaign levels over and over before you “get” it, but there’s always a trick. You might need to try a new strategy or equip a new weapon or just gather a few more gems. Whatever it is, you’re always progressing, gaining more knowledge, and getting stronger in one way or another. That feeling negates any controller-throwing instincts when a floating eyeball nails you with a perfect energy shot from across the way. Hell is Other Demons captures a certain vibe incredibly well. Its inspirations, from Devil Daggers to Super Crate Box, are clearly visible but everything clicks together into a wholly original creation. For anyone who wants an arcade challenge or a hit of Super Meat Boy without the frustration, few games fit that description more than Cuddle Monster Games’ latest hellish creation. 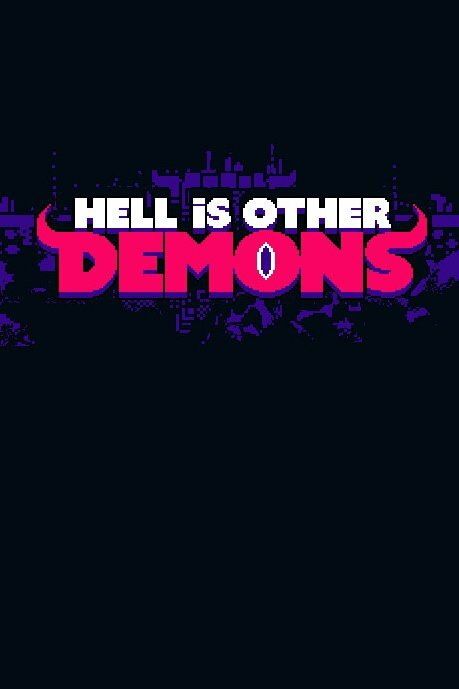 GameRevolution reviewed Hell is Other Demons on PC via Kartridge with a code provided by the publisher. 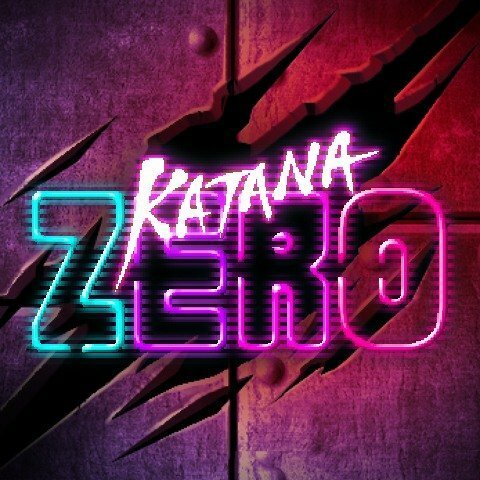 Accessible but challenging arcade gameplay. Perfect demonic vibes thanks to a dark synth soundtrack. Bosses can be too easy to take down. Default control scheme isn't the best.